This is the time of year when everyone posts their list of New Year's resolutions. I've never been much of a resolution kind of gal. If that were the case, I would never have run that Chicago marathon last year. I had a couple of halfs on the agenda for the year, but that was it. After I bombed my first marathon, I always said I would never do another marathon. But as this year moved forward and I got stronger and more confident, I decided to go for it. And that's kind of how I live my life. I've never been much of a planner. When I went back to school to be a nurse practitioner, it was something I'd been thinking about, but never really made big plans to do. But when I decided to do it, I jumped in with both feet and never looked back. Same with the marathon. I won the entry, and said, what the heck? 1. I'd like to stay injury free this year. Don't laugh. This includes continuing to work with Becky and my weight training. I'm convinced that the work she gives me--the heavy lifting, the HIIT--that is what kept me injury free and contributed to the success I had on the road this year. I'm going to stick to the relatively low mileage that I always do because it seems that everytime I ramp up my miles, I start to hurt. Hopefully not with my eyes closed! 2. I'm going to run another marathon. 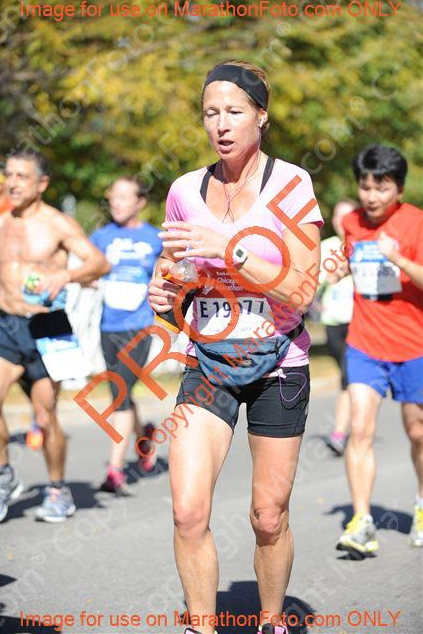 It was pretty funny, besides this picture, after I ran Chicago, my husband (who isn't always supportive of my running) made a comment about "the next one". I almost fell over. Who is this man? But when asked, he commented on the training I did, that I didn't complain about having a tough time, that I didn't get hurt, and that my training didn't interfere with any family activities. Ok, then! I'd like to do Chicago again, if I get in the lottery this year, and I'd like to best my finish time. If I don't get into Chicago, there's always Fox Valley, Milwaukee, and Prairie State. Dare I even hope for a sub-4 hour marathon? Ok, it's a goal. Wouldn't that be something? A girl can dream, right? 3. 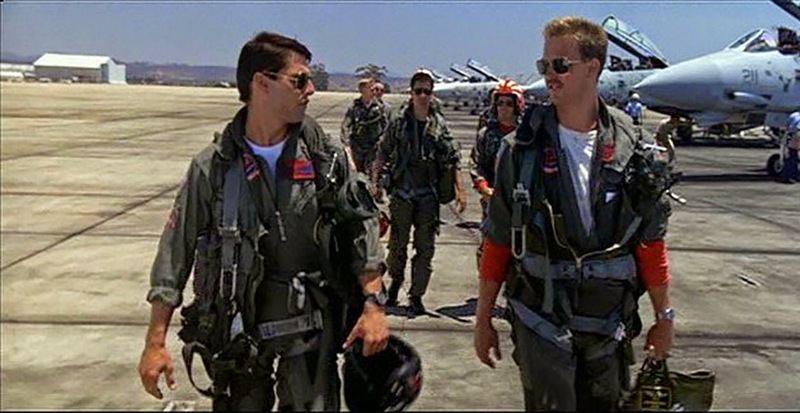 I feel the need...the need for speed! Along those lines, I'd like another sub-2 hour half marathon. I've had a few. The last one was in the fall of 2013, a spur of the moment half that I signed up for the week of the race. See how that lack of planning worked out for me? Regardless, I'd like another one, and I need to get my head around the whole heat and humidity thing, because those summer and Florida halfs aren't bringing me speedy finish times. Hopefully, as I continue to get stronger, that will be less of an issue for me. We'll see. 4. I need to do a better job of managing my mama drama. I write this as my 17 year old is pondering his options for New Years Eve. This year showed me that raising teenagers is way more difficult than running a marathon. I have to keep reminding myself what good boys I have. Even when they do stupid things. Remind me of this the next time I'm sitting in a courtroom with one of them. I'm working on getting my husband on board with shouldering some of the worry and disciplining.... this is a work in progress. He needs to stop waking me up in the middle of the night to share his angst with me. Deal with it, mister man! I will say that running really helps me manage my stress, though. And so back to #1. I can't not run. It's my therapy. 5. I want to continue to grow my blog. I love to write. Can you tell? As a matter of fact, I was a journalism major in college before I changed my major to nursing. Writing is such a great outlet for me. I wish I had more time to spend writing. 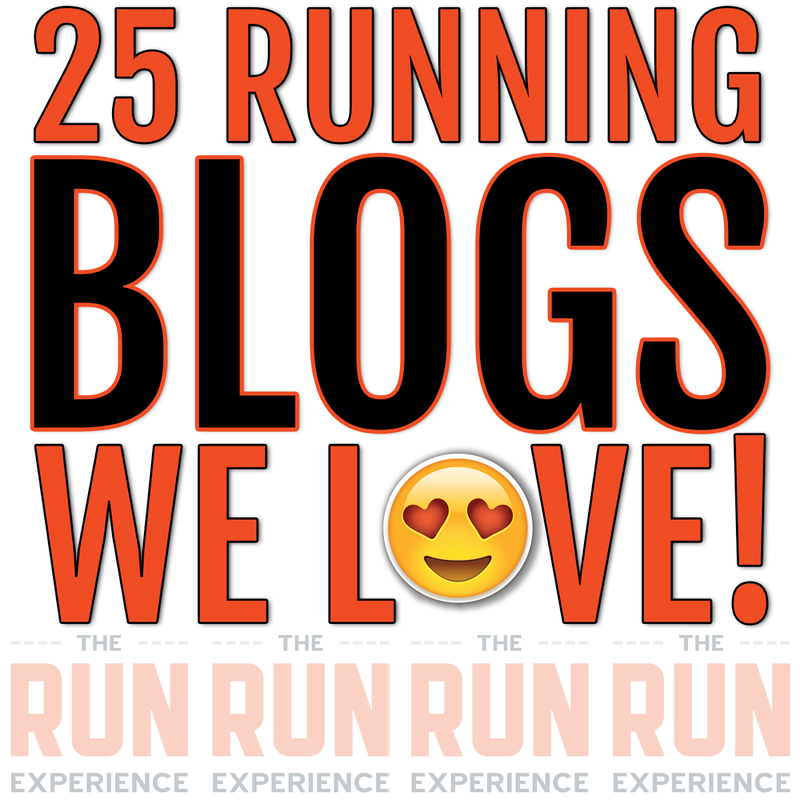 Blogging has also introduced me to some of my new running friends, many of whom I've met and spent time with in 2014. I hope to meet more of you this year! So what's up, running-wise, for 2015? So far, I've registered for one race, the Sarasota Half Marathon. I've got a couple local spring halfs in consideration: Great Western Half marathon, Springfield Half Marathon. 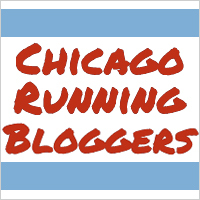 There's that awesome CARA Lakefront 10 miler in April. I'm looking at running another late summer/early fall half and a fall marathon. 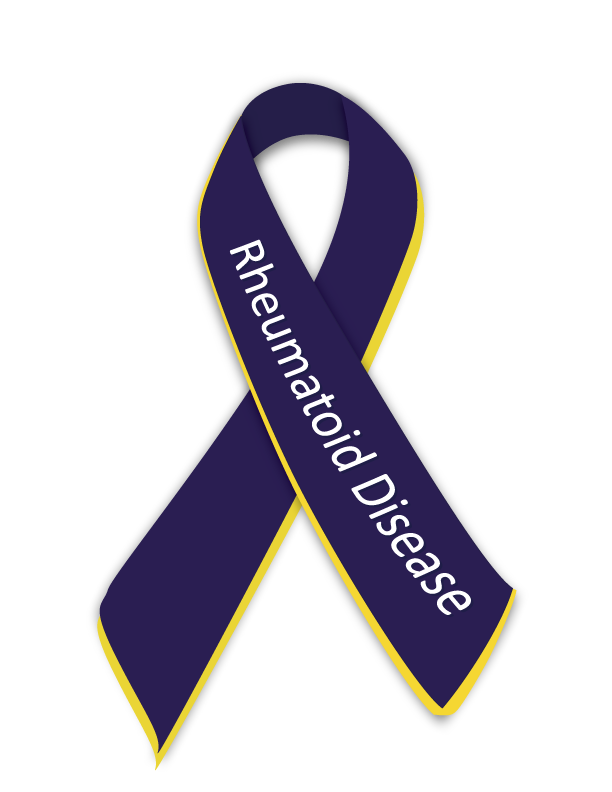 I don't want to run too many races, because I don't want to risk injury. Plus I'd like to continue to work on speed. I wouldn't mind doing that Fall 50 in Door County, as a relay. Anyone interested? Regardless of my goals, what I really look forward to the most is more running! What are you planning for 2015? 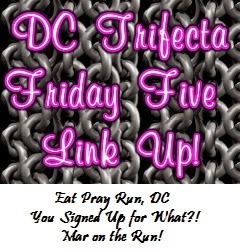 I'm linking this post up with the DC Trifecta for Friday Five! And with Jill Conyers for her Friday Blog Hop! 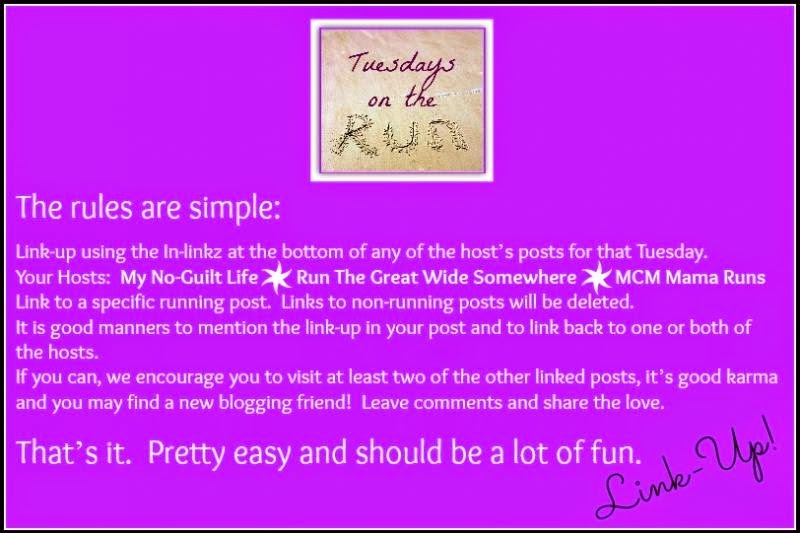 And with MCM mama, My No-Guilt Life, and Run the Great Wide Somewhere for Tuesdays on the Run! Yes, yes. Quality over quantity...very difficult for me. I hope I can do as well as you did with my marathon. You want to sub 4? You can!! 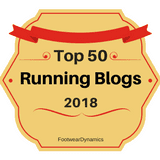 I'm happy I found your blog this year! Here's to a wonderful stress free (yeah right I have teens boys too) 2015! I am in awe. Sub 2 half . Sub 4 marathon. You rock. I ran the Sarasota half in 2013. It is one of my favorite courses. You know what I think: if you can dream it, you can do it. Here's to another exciting year for you. DC 50? Wouldn't that be a blast! I'm hoping for as exciting a year as 2014. Haha! If you want to do that relay, let me know! 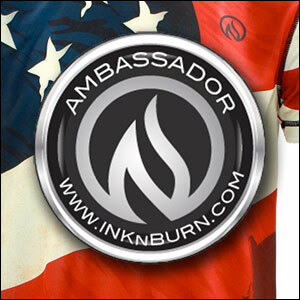 The sign up is in April and it sells out fast! I LOVE those first pictures of the gym. It is so easy to jump out of bed those first few days of the New Year, because there is just so much excitement in the air it's like you can taste it. And then, suddenly the gyms go empty. People are looking for immediate results when it comes to health and fitness, when it's really a lifestyle. Thank you for sharing your goals. I am getting my yoga teacher training in September and am a columnist for elephant journal. Those were two of my big goals for this year, actually, and they happened early! Haha! Same thing at Whole Foods! By February, the aisles are much easier to maneuver! Great job on your yoga teacher training! That's one thing that I always want to be a student of...I really enjoy going to the studio and working on my poses. You had a tough time, with the illness. I saw a little girl in the clinic with influenza and, I'm sure H.flu...double ear infection, pink eye, and pneumonia...made me think of you. Ugh. I'm so glad you are on the mend! I would love to the Fall 50 with you. We would have a blast! One question. Where is Door County? I can't get the website to load. You and me...a sub 2:00 half in 2015! We can do this. Your 2015 is going to be amazing! Jill, I'm going to take you up on that! I'll remind you in March, to see if you are still interested. Door County is in northern Wisconsin. It is super hilly and absolutely beautiful. But each leg is 10 miles. It would be a blast! I just entered the momma drama phase with my 11 year old! Even though I teach middle school, it's different when your kiddo is a middle schooler. My hubby and I need to find a ton more patience and ways of dealing with her. Bless her heart! There's a lot of changes going on for her, but holy smokes! :) I love all of your goals!! You got this year! My new saying for 2015: We run this year; It doesn't run us! I love that saying and I may be using it! Love your goals. seems like we're all hoping for an injury free year! You're race line up looks great! I'm still deciding but will figure it out soon! Is it too much to ask to be injury free? After the year I just had, staying injury free is my #1 goal for this year! 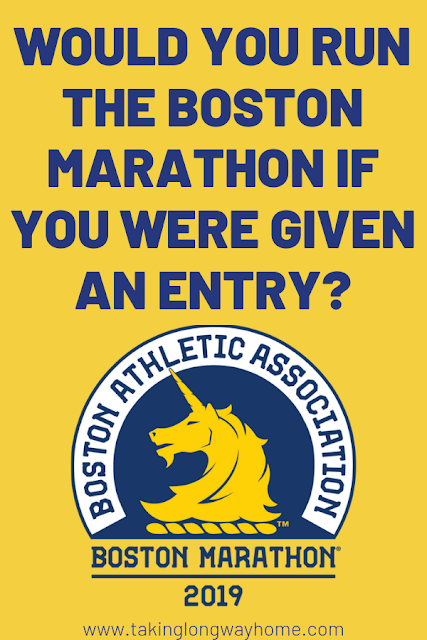 Good luck with the next marathon! Me too! That will be the deciding factor for the rest of my goals. Injury free years for everyone!! great goals! 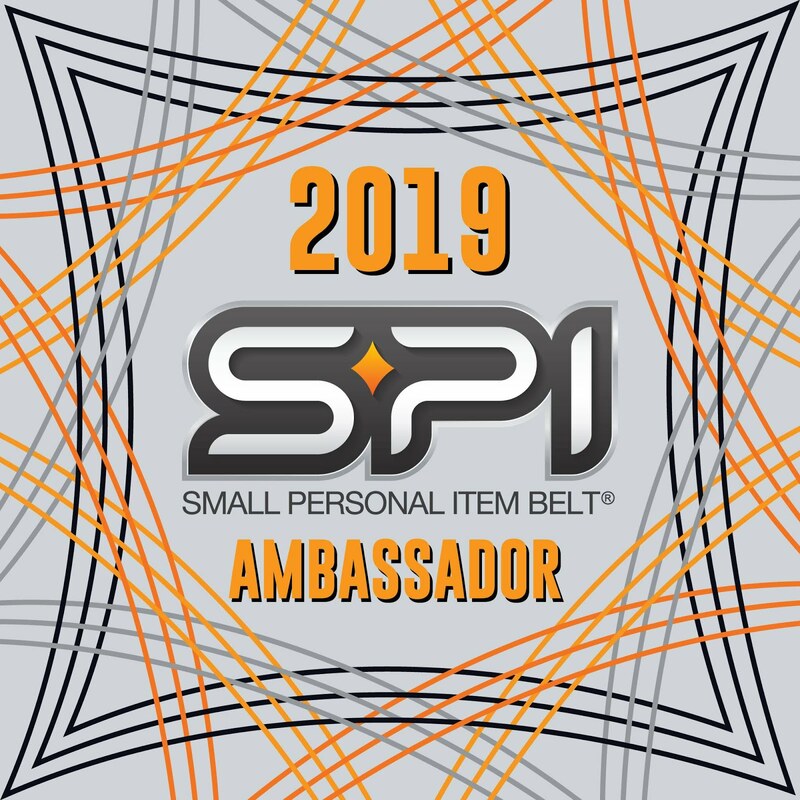 I want you to be injury free too!!!! I am with you! More running in 2015 but great, fun quality races! 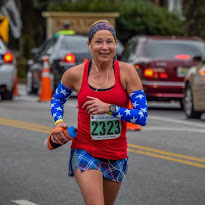 I get excited about the PR's but I am focusing on new distances so I am all about finishing! Cheers to 2015! Good luck! What distances are you looking at? Um, how bad is it that I almost fell out of my chair laughing at this woman who fell down on the ice? Also, FYI, I did receive those Stabilicers for Christmas - woo hoo!! Let the fun begin! We've been lucky, so far, but it's on its way; I can feel it. 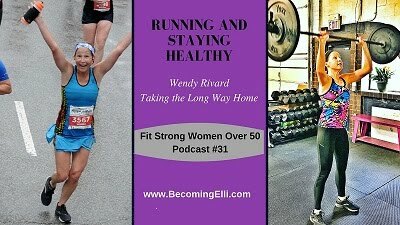 I can't wait to follow along in your journey, Wendy; I'm excited to hear you'll be running another 26.2!!! You have such fantastic goals for 2015! Hopefully we can all avoid injury this year. Not fun and such a bummer when your training and racing plans have to be dropped. I can't wait to follow your racing journey this year! Staying injury free is the priority! These are great goals! I'm aiming for a healthier year too! We can do it! Looking forward to following you this year! Happy 2015! Ugh, that PF....I hope yours goes away quickly! 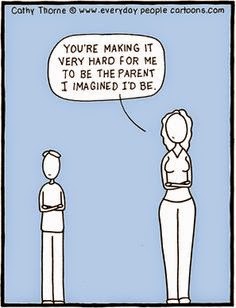 Great goals, although you are really freaking me about about raising teenagers! It's okay, my neighbors have already given me a preview of what that's like. I keep thinking we should get a few good years in there when they're not quite teens but out of diapers and stuff, right? Enjoy it, that's all I can say...! Great goals! Aren't marathons a little bit addicting? It sounds like you had a great training cycle for your last one and you will only continue to improve! Good luck with everything this year! I think half marathons are a little more addicting than fulls! but since I had such a good one, I'm anxious to try it again! 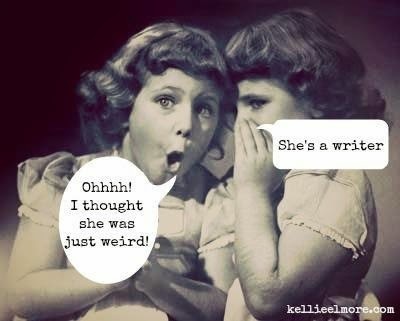 I can definitely tell you love to write...and I love to read it! These are great goals. I don't like to plan everything either just because I know how things can quickly change, but I do like to make a few, concrete goals each year. Thanks Janelle! I like your blog too. It's not bad just winging it, really! 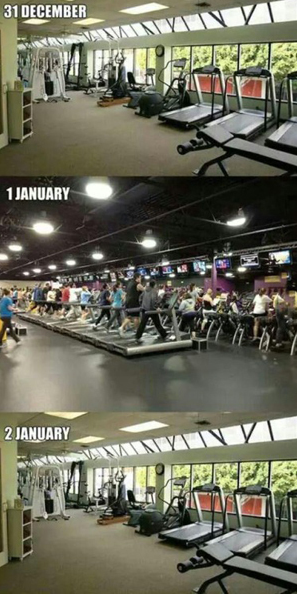 The gym pictures made me giggle. Well thought out goals. I like your list of races. I'm focusing on quality over quantity this year too. I'm still nursing some nagging pains--I don't want them to turn into full blown injuries. Trying to be smart about it! As a mom of a preschooler AND a teenager (both boys), your graphic made me crack up! Sounds like you have a great year planned out. I agree that the strength training makes a huge difference in my running and staying injury free. Thanks for linking up with us today!! I have one just barely a teen and he's already stressing me out. Ugh. And I just know the 9 year old will be harder as a teen than his older brother. I kind of feel like I need to lock up the alcohol and car keys now. I'd love to run Door County, but I'm pretty sure I've already used up my good wife points on the races I've committed to. But will it make me run faster?